Nuvo at Essex are located at 25 and 35 Viking Lane in Etobicoke. 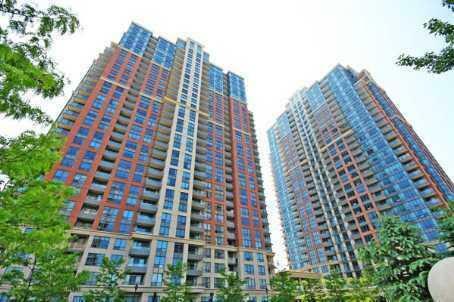 Nuvo 1 and Nuvo 2 are only 20 minutes drive from downtown Toronto. 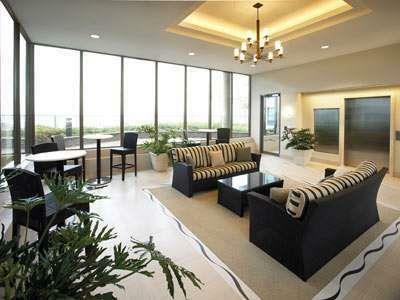 Nuvo at Essex are state of the art condominiums with specious suites and excellent amenities. Nuvo at Essex project was built by Tridel. Tridel Nuvo 1 and Nuvo 2 Brings a New Level of Luxury to Etobicoke The Essex offers residents distinguished living in the midst of a beautiful park setting at the crossroads of Dundas West, Bloor and Kipling, Toronto, Ontario... For the first time in many years, Tridel, is returning to Etobicoke with a spectacular 21-storey condominium residence - The Essex. Set within a parkland setting of gardens, courtyards and walkways, The Essex is an enviable escape from city life. A fresh expression of style and grace, this inspirational addition to the neighbourhood will surely change the Etobicoke landscape. For those who love to stroll the boulevard, the Bloor Street shopping district, to the west of Kipling Avenue , is a small neighbourhood community that is proud of its local shopping plazas and food markets. And just to the east, one finds the trendy boutiques, restaurants and cafe? of Bloor West Village. Meanwhile on Dundas Street, residents can explore Cloverdale Mall which is only a short distance away. This indoor mall hosts many special events throughout the year and is home to major department stores and over a hundred retail shops. For outdoor recreation, the Humber River, Etobicoke and Mimico Creeks are part of an extensive ravine system with well-groomed walking paths and trails. And, just north of Mimico Creek, residents can enjoy a round of golf at the Islington Golf Club. Travelling in and out of the area is easy with Highways 401, 409, 427 and the QEW mere minutes away. Lester B. Pearson International Airport is within a ten-minute drive and Bloor Street to the north offers motorists with an alternative route into downtown Toronto. For those without a car, public transport is right on the doorstep, with the Kipling station just a stone's throw, where residents will have easy access to Toronto's underground subway system and GO Transit. For this landmark project in Etobicoke, Tridel has enlisted the talents of Graziani + Corazza, a renowned Toronto architectural firm. Their vision for The Essex marries traditional and contemporary design elements, creating a distinctive exterior that casts a bold presence. Climbing high above the landscape, The Essex rests upon a podium made of pre-cast concrete. Following the contours of the earth, the podium expands in height to include picture-perfect windows that encase the building's lower level recreation and social centre. Rising from the centre is a majestic residence which features geometric bands of tinted-windows, deep brown brick and straw-coloured, pre-cast concrete. The windows provide unobstructed views all around, and ornamental elements on some of the balconies and French door windows, add to the design sophistication that Tridel is known for. These decorative elements are also features of the mansion-style entry gates that welcome guests and residents alike to The Essex. Beyond the gates, lush landscaped gardens surround a curved driveway leading to a weather-protected porte coch?e entranceway where a concierge is ready to meet residents' needs 24-hours a day, 7 days a week. Unique to the Essex is its stunning lobby areas with panoramic views that extend right through the main lobby to the parkside lobby at the other end of the building. 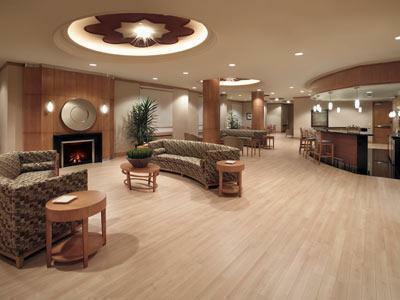 The through-lobby provides easy access to the adjacent parkland and surrounding neighbourhood. Renowned interior designer, Mike Niven, has been commissioned to design the lobby areas for The Essex, choosing paneled columns and coffered ceilings contrasted with patterned, limestone flooring, to create an overall sense of elegant grandeur. The highlight however, is a majestic two-storey waterfall that is set alongside a dramatic open staircase leading to the lower level Essex Club. 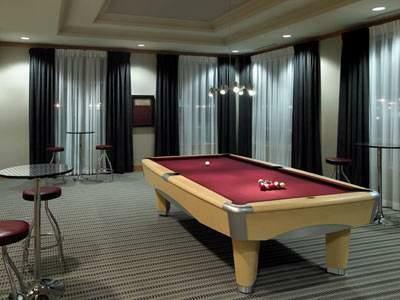 The exclusive Essex Club offers the very latest in athletic and social amenities. Its health club facilities, to start with, are on a par with the most expensive of private clubs, providing a fully equipped Aerobics Room, Fitness Centre, and state-of-the art equipment. After an intense work-out, what better reward than a refreshing swim in the indoor pool, or the ultimate in relaxation in the whirlpool, or sauna. 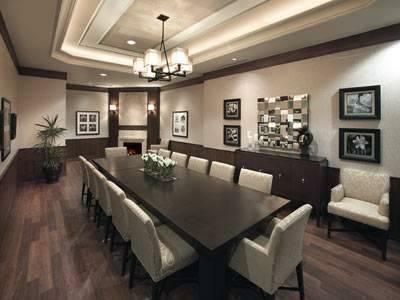 A large Home Theatre and Club Room, with comfortable seating offers a wonderful environment for reading, playing cards or meeting with friends, and residents' special guests can also stay overnight in the Club's two, beautifully-appointed guest suites. In addition to a billiards room and Tridel's famous Virtual Golf Centre, the Club also houses an elaborate Party Room, that is sure to make any celebration a success. Entertain in style with the room's fully-equipped caterers' kitchen, circular bar, dining area and dance floor. And when guests need a break from all the excitement, they can relax in the adjoining lounge and enjoy the double-sided fireplace and open views of the park through the panoramic windows. Homebuyers have plenty of choice at The Essex which offers eight distinct floor plans. Suite configurations include spacious one and two bedroom designs, all with dens or media nooks and open-air balconies offering city or lake views. The most intimate suite size starts at 700 square feet, increasing to over 2,000 square feet for a Tridel Signature Collection Penthouse Suite, and prices are remarkably affordable, with one parking space included. The interior finishes and features within each of the 228 suites surpass typical standards. For example, the foyer, hallways, den, living and dining rooms are fitted with pre-engineered hardwood flooring, and plush 40 oz. broadloom is found in the bedrooms. Quality craftsmanship defines the millwork in the kitchen with a choice of Essex Signature Cabinetry and quality countertops and some even have moveable island counters. The elegant bathrooms include a deep soaker tub, Signature Vanity Cabinetry, and a choice of cultured marble countertops, complete with integrated basin and frameless full-width mirror with decorator sconce lighting. It goes without saying that each residence comes with five high quality Whirlpool appliances, including a stacked washer and dryer for total convenience. Tridel has prepared its residents at The Essex for tomorrow's innovations in communication and entertainment services. The advanced broadband wiring infrastructure will allow them to customize everything from home security, audio and television preferences to data configurations for telephone, fax and high speed Internet connections. 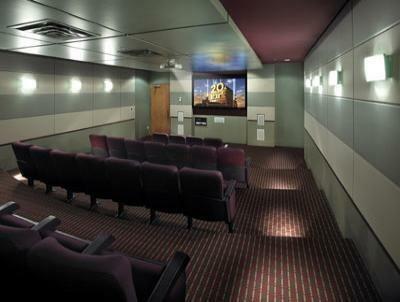 This system has the flexibility to suit individual lifestyle and communications needs for the present and the future. At the heart of the communications technology system is the in-suite SoftWire? Network Centre where all the advanced building and in-suite wiring systems converge. Through this, a variety of optional technology "packages" can be programmed to support the resident's choice of home computing, communications and/or entertainment systems. Security within The Essex is "super smart", and is monitored by surveillance cameras, access and emergency response keychain pendants, and enterphone systems that protect the common areas of the buildings. Individual residences are fitted with personally encoded suite entry key-pads, and residents can also view the entrance to the main lobby within the building on their own television security channel. Underground parking systems include access by personal car transponder, and two-way, voice communication stations. For prices,availability of suites for sale or for rent, recent solds please contact me directly. Nuvo at Essex photo galery.